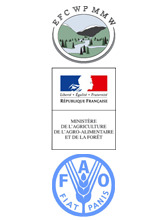 29th session of the working party on management of mountain watersheds of the european forestry commission of FAO. The Seminar will take place from the 3rd to the 5th September, 2013. Day 3 (5th September, 2013) : field trip.